Emsisoft Anti-Malware 2019 is the complete antivirus solution that provides strong protection against all types of malware threats. It is an Anti-Virus, Anti-Trojan, Anti-Spyware, Anti-Worm, Anti-Ransomware and Anti-Phishing all in one. This Emsisoft security solution is fueled by a dual engine malware scanner for twice the malware cleaning power, with no extra resource requirements. Extra: HiJackFree system analysis tool included! When you purchase this product, you purchase 3 layers of malware prevention. Surf Protection against dangerous and fraudulent websites. If you unintentionally try to access a website that spreads trojans, spyware, or any other type of malicious program, Emsisoft Anti-Malware will prevent you from connecting. This software does this by utilizing a built-in list of known dangerous and fraudulent websites, which is automatically updated every hour. This crucial layer of protection checks all files that are downloaded or run against more than 10 million signatures of known malicious software. 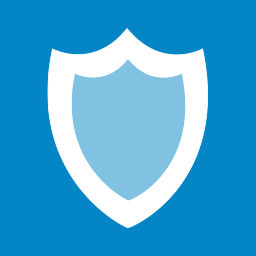 The File Guard is intelligent by design and self-optimizes continuously. It ensures real-time protection that scans dozens of files every single second. Most importantly, File Guard operates in the background of your computer, meaning you don’t feel the impact of its power. Emsisoft Anti-Malware can catch zero-day threats that aren’t yet included in the signature database. Therefore it continually monitors the behavior of all active programs. And it raises an alert as soon as something suspicious occurs. It is combined with the live cloud-verification of the Emsisoft Anti-Malware Network. Consequently is the ultimate weapon against specialized and sophisticated malware attacks that others can’t protect you from. Thanks for update. I just installed it and it is working fine!